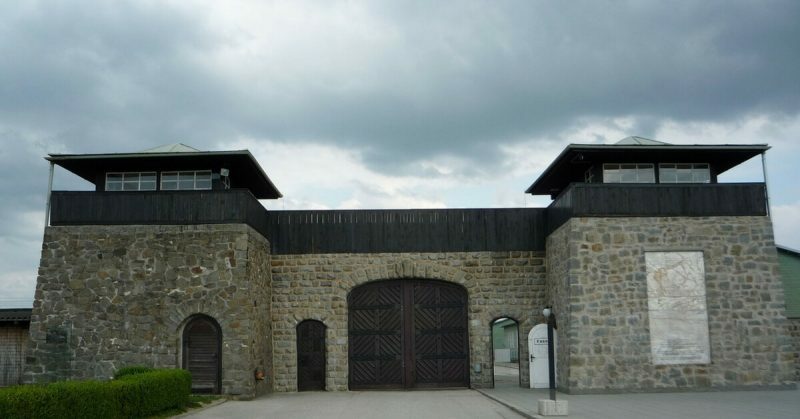 The Mauthausen-Gusen Concentration Camp lies just North of Linz, in Austria. It was one of the first large concentration camps created in Nazi Germany and saw heavy use during World War II. The camp utilized heavy labor as a means of breaking the prisoners’ spirit. It was truly brutal. Below are ten things people should know about this camp. The concentration camp was established in 1938 when prisoners were ordered to move to Mauthausen from the Dachau camp. At the time, there was no real camp there, so these prisoners were put to use. They built everything. It had 32 barracks, a couple of buildings for the officers, and was surrounded by electric barbed wire. There was also a stone wall in place. The camp was near a quarry, which was intentional. While the camp was technically in Germany’s control, it was originally started as a new business by the company that owned the quarry. 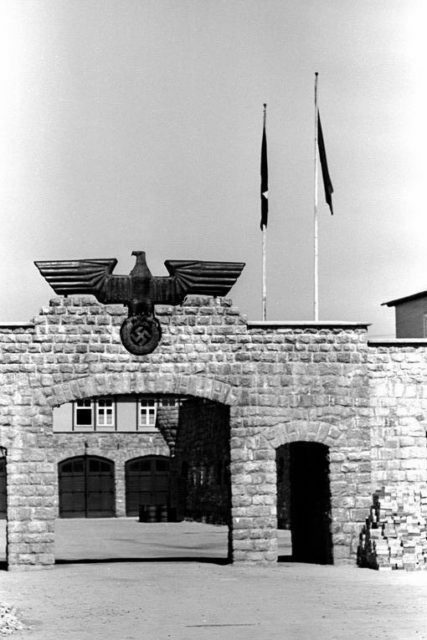 Two camps were built relatively close to each other, named Mauthausen and Gusen. The big attraction for this camp came to be its slave labor, but it did not start that way. At first, it was a place for criminals. In the spring of 1939, that changed and it became a labor camp that was to house political prisoners. The labor tactics used allowed this to be the most profitable camp in the Nazi regime. They could make and do a lot of things at the camp. It had its own quarry. Not only were its profit margins high, its production was as well. It produced more completed work than any other labor camp. Bayer– Still in business. A pharmaceutical company. They owned the original trademark (and in some instances still do) for aspirin. Österreichische Sauerwerks – Now known as Sig Sauer. Still in business, and known for their weapons. Their parent company is Swiss Arms. Steyr-Daimler-Puch– No longer in business as of 2001. Worked in several fields, including weapons and vehicles. The company at one time during the war employed Ferdinand Porsche, who designed a few military vehicles for them. The company also had experience with Fiat, assembling one of their vehicles and building engines for a few others. The labor was not there just for work. It was also a means to an end. The idea was simple: work them until they can stand it no more. Working hours could run from as early as four or five in the morning until seven or eight at night. Once prisoners were too weak, tired or ill to work, they would be sent away to be killed. Many inmates were shipped off to die, while others died on site. At first, there was no gas chamber at the facility. That would change in 1940 when they started utilizing mobile gas chambers. A hose would be hooked up to the exhaust of a van which had its engine running. Carbon monoxide fumes would funnel along the hose into the prisoners in the back of the van causing poisoning and suffocation. Eventually, this would change, when the camp built a gas chamber, able to kill 120 people at a time. 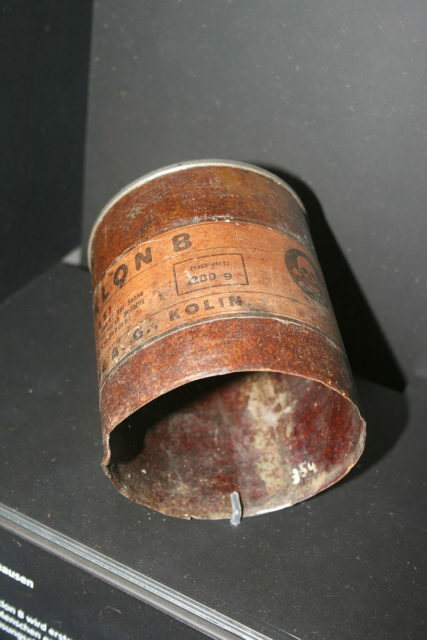 Zyklon B was often used by the Nazis to kill inmates. Another form of killing were beatings. Prisoners were subjected to abuse for anything the regime saw as wrong and were often beaten to death. 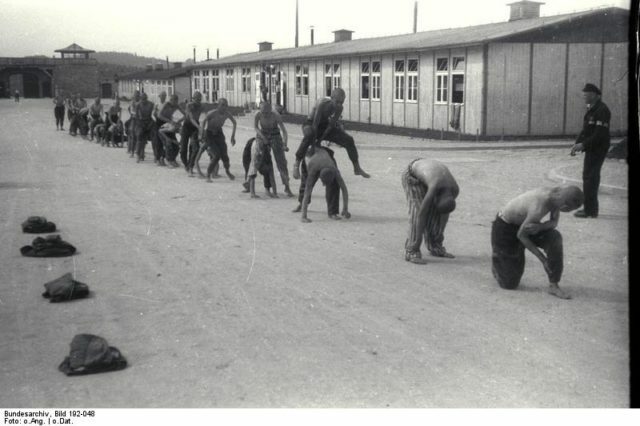 Inmates were also made to do useless exercises that were designed to wear them down, for example playing leap frog for several hours. Other popular means of death included drowning, science experiments ,and much more. It is believed there were more than 60 ways people were murdered in bulk at the camp. Originally, the goal was to keep the camp limited to those assumed intelligent, such as professors, or those who worked in the arts, etc. This changed as the Nazi camp scheme grew, and other camps could not handle the populations they had. By 1942, new prisoners would come in almost daily (intelligence level no longer mattered), usually from other concentration camps. Inmates were not restricted by demographics; if the Germans thought prisoners belonged there, they stayed there. At first, only men were sent to the labor camp, but as concentration camps began to swell, anyone was sent to Mauthausen. The Persons Under 20 Polls taken in 1943 and 1945 are a good example of this. In 1943, there were 2,400 people under the age of 20 in the camp. By 1945, that number had increased to more than 18,000. In the first few months of 1945, many women were starting to be moved into the camp with an estimated 2,500 women arriving there. Some female guards were transported to the camp as well. Grueling labor, pointless exercise and no food. Inmates sometimes received less than 1,000 calories a day.As with everything else, this was designed to wear down the inmates. The average weight of a prisoner at the camp in the early 1940s was just 88 pounds. The stairs of death were another popular means of killing. Guards would make inmates walk up the stairs of death, in a group, carrying large granite stones that could weigh up to 100 pounds. Exhausted, if one person fell, then they all fell like dominos. Those who were “fortunate” enough to survive the stairs of death would be brought to a cliff. Standing on the edge at gunpoint they would have the option to either be shot, or push the person in front of them off the cliff. Before liberation, the Germans destroyed many of the files that would tell us the exact death toll. Estimates range anywhere from 50,000 – 300,000+ died in the camps.